For those who work in the St. Louis Post-Dispatch newsroom, it's rare to see any of these sports writers in the office, much less together. They're out watching games, practices and writing stories that help sports fans understand their favorite teams. 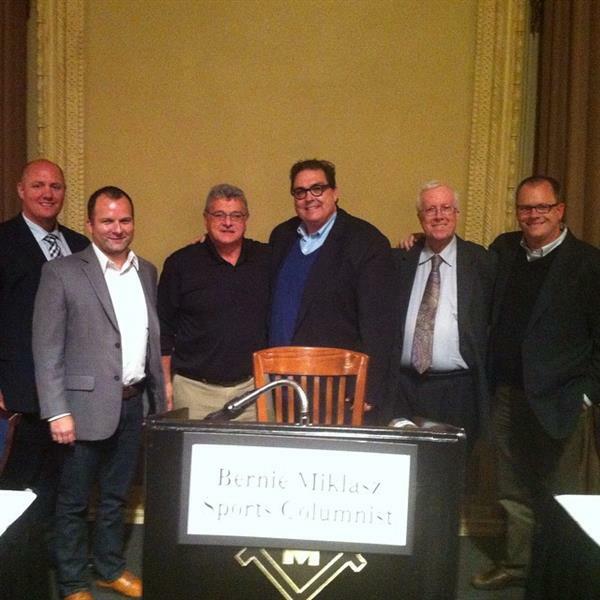 On Monday, sports columnist Bernie Miklasz moderated a roundtable discussion with Cardinals writer Derrick Goold, baseball writer (and Hall of Famer) Rick Hummel, Mizzou writer Dave Matter, Blues writer Jeremy Rutherford and Rams writer Jim Thomas. This @Stltoday Sports Writers' event is pretty legit. @Miklasz is a great emcee. On the 1st question but some great stories already. Rick Hummel didn't know how to type when he started sports writing. He wrote stories out and Mom typed them for the first year. 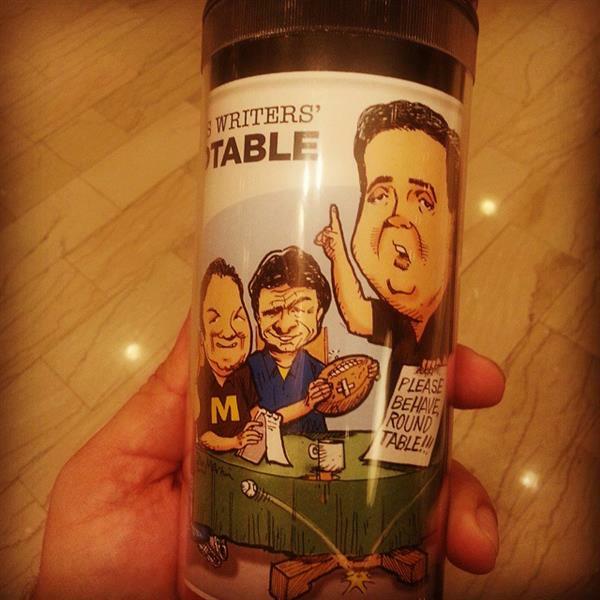 Dave Matter was in Columbia this afternoon for Pinkel's presser. Wrote two stories on the way here while his wife drove. Q: Best part of the job? A: Derrick Goold: "We get to write the rough draft of history"
. @miklasz: "We've all married well. Some of us more than once." Poking fun at himself when talking about importance of spouses. Q: Worst interview A: @jthom1 asked Lawrence Phillips for an interview. He said he'd shower & be right back. Jim has been waiting since '96. Goold: "Covering baseball isn't a marathon anymore. It's a series of 365 sprints" commenting on 24-hour news cycle. 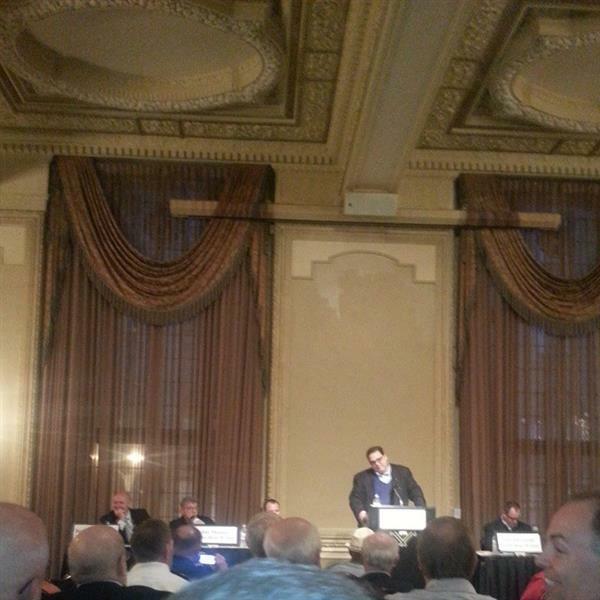 Q from @miklasz "Will the Rams move?" A: @jthom1 thinks it's 55-45 they stay. Relocation fee would be huge.